I know it is hard to decide between SQL Server Hosting and MySQL hosting. Which is better? Which is more reliable? Which offers more features? 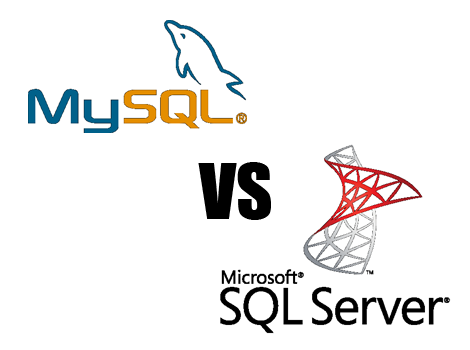 These are just a few questions when it comes to SQL Server versus MySQL. The answer to all these questions is SQL Server. While both of them are very good at keeping your data organized and make it available through an easy to use user interface (UI), there are huge differences between them. The best among all data management solutions available today are the MySQL and MsSQL. Although, that both of those solutions are working really good, there are a lot of differences between them and when it comes to choosing, which is the best among them, there are a lot of things that you should know. First, I would like to focus on the flexibility that is offered by those 2 types of data management solutions, because that is one of the main things that you will be looking for when using them. If you take a brief look at both solutions, you will notice that they support all the major protocols, which are required to access the databases. However, after a close examination, you will notice that the MySQL do not follows the ANSI SQL standards. Although that this is not a large issue, when the data that you are storing, starts to grow, the need for upgrade to MsSQL will grow. Mainly, you will notice the difference if you are using those data management solutions for an e-commerce website. When you are storing data using those data management solutions, the main thing that you will have to do is to secure it. Both MySQL and MsSQL are supporting very good security measures, but they are doing that in a different way. The MySQL uses SQL Grant command, which is limited to table level of security granting. On the other hand MsSQL, supports column level of security, which will allow you to secure only specific portions of the data to be secured, which means that the other part of the table will be viewable, unlike the security of offered by MySQL. After you had chosen to use data management solutions, you should learn what the options that you can use for the support are. Here comes the good part - both data management solutions are offering great support for their customers, which includes both free and paid plans. However, here comes another slight difference and that is in the number of people, who are employed to give live support. If you are using MySQL, there are only 100 people worldwide, who are offering support, but with the MsSQL, there are a lot more, because as you know there are so many Microsoft employees all over the world that is really hard to give an exact number. In conclusion, I would like to say that the choice between MySQL and MsSQL, depends only on the purpose of the system you will be creating. Therefore, when you set your goals you can easily find the most suitable data management solution and put it to use. However, remember that the fact that both solutions look pretty the same on the surface, if you do a good research, you will notice that the MsSQL offers better support, flexibility and security, so keep that in your mind when making the choice between those 2 solutions. ASPHostPortal.com has been founded in 2008 and started as a group of IT professionals to introduce a new standard in the fast changing environment of web hosting. Their mission is to achieve your 100% satisfaction, which is guaranteed by their professional service and friendly support. With experience on various hosting platforms and operating systems, particularly Windows and ASP.NET, they bring a wealth of knowledge and the capability to handle SQL 2016 hosting needs. This experience also comes with the support and knowledge their customers have come to rely on. They ensure that customer's questions are resolved timely and effectively and from friendly and respectful customer support team. They have robust hosting packages and super-affordable prices. They will provide you with complete SQL 2016 hosting solution. Their SQL 2016 Hosting packages are perfect for individuals and business requiring high uptime and performance.